SEO is one of the major things for people who are running their business. Without SEO the business cannot able to get on the top of the list. On each and every search engine it is necessary to get on the top. Most of the times people ask this question that how long SEO takes. 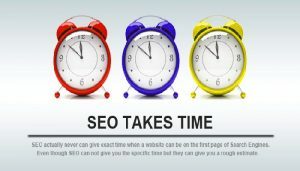 Here in this article, we are explaining to you how SEO works and how long it takes. How long did the SEO Ranking take Time? Giving your clients a gist is not the option to solve their problems with the SEO. 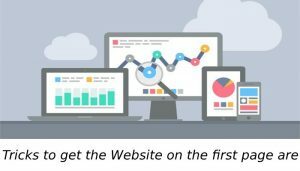 It is necessary to explain to your clients how SEO has evolved over the years, and where it stands today. We all know that SEO is a complicated thing. As well as there are so many marketers who are not able to define it. There are many marketers who are beginning to define it. The most important reason is to avoid being vague. The customer has to understand that it leads up front that the SEO can easily take a year to pay off. But it all depends on the website that they have done some SEO work already as well as how long their website has been live. 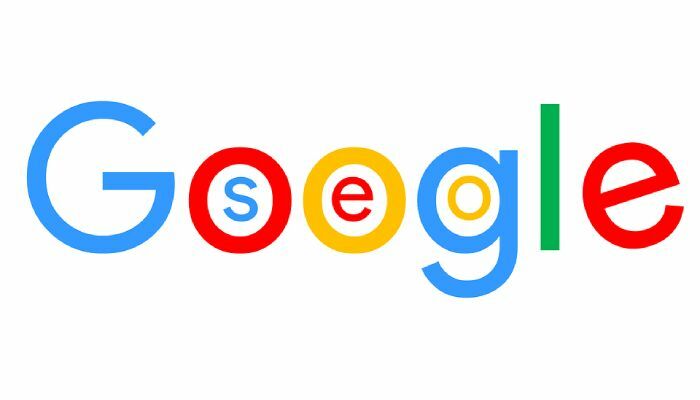 Let’s take an example of the brand new website, for the reason Google won’t even begin to crawl and log your content until well into a month of the existence. But the thing to consider is that organic traffic did not fly by a night type of a campaign. The process is ongoing and it almost takes time. Therefore if a client is not ready for a long term commitment, then your SEO services aren’t going to make them happy. How to earn Google’s Trust? 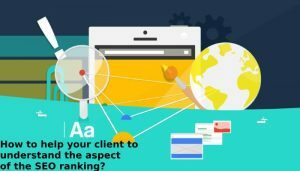 This thing is mentioned above that if your client has done some SEO work on his site already then sometimes it is good or sometimes it is bad. Therefore there are many people out there who will take a few bucks and they destroy their client’s SEO with the old black hat tactics. For the reason, we all know that the Black hat SEO is an aggressive SEO strategy that is mainly violate the search engine’s guidelines and best practices. The strategies which are used by the black hat SEO are- article spinning, content automation, and keyword stuffing to manipulate rankings and position low-quality content in the search results. Nowadays the websites are penalized by Google when using the black hat tactics. 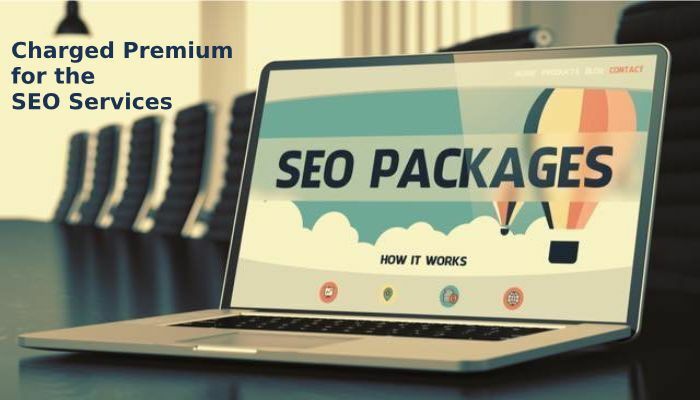 We had seen many times that there have many sites who have hundreds of the terrible backlinks, then it means you have to do a lot of work on that portion. Another option is that if you want to start with the fresh website is to make another website with the new starting of everything. But the bad impact of this option is that you have to go through the long term process. We all know that Google algorithms are changing rapidly. Each and after a day there has been a new Google algorithm is present so not even a marketer plays chess with them. This is the most important thing to deal with the updates of Google by updating your website time to time according to the rules and regulations of Google. It takes across all agencies, report, and statistics is approximately 6-9 months to start seeing some of the SEO action. For the reason, you can get a website on the first page of the SERPs in a shorter time if it happens to have the right recipe. With the help of this type of quality client rise in ranks within approximately 3 months. It was the saying about the SEO that the longer you put the effort into the SEO, the better off they will be over time. 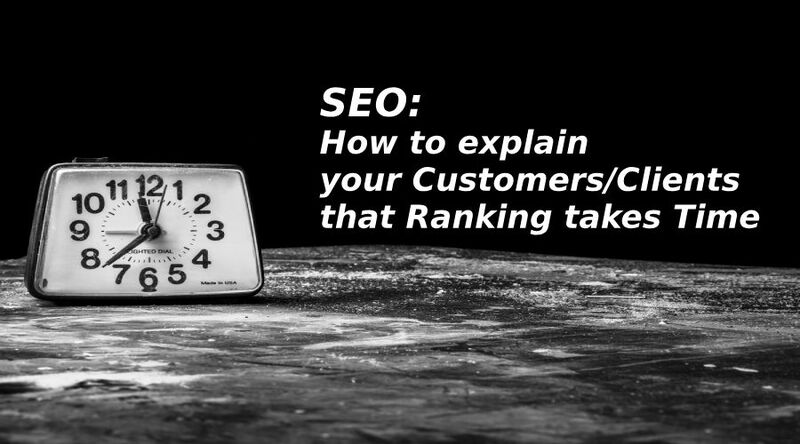 How to help your client to understand the aspect of the SEO ranking takes time? As tempting as it may be to take the quick win with paid ads only, hence website will lose in the long distance race and the risk becoming irrelevant down the road. 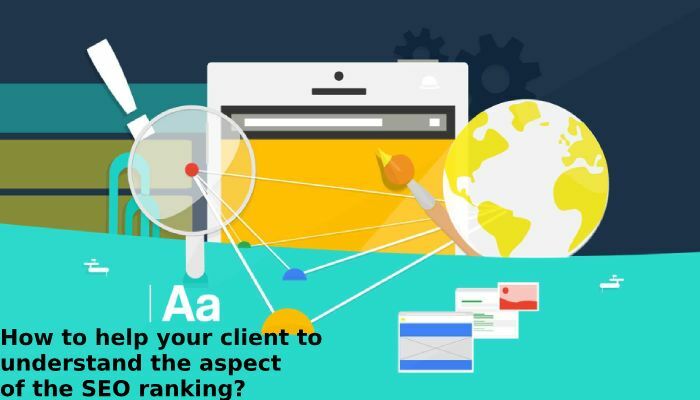 With the help of another aspect, you can educate your client that the SEO takes the constant upkeep. We cannot set it and forget it. The reason behind it is that due to the continually changing nature of the SERPs algorithms. 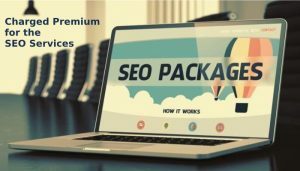 Did you hear about the charged premium for the SEO services? We all know to perform the SEO tactics correctly it requires true professionals. They are able to tackle SEO from time to time. It all depends on which side of the table you are so this can be really a good thing. 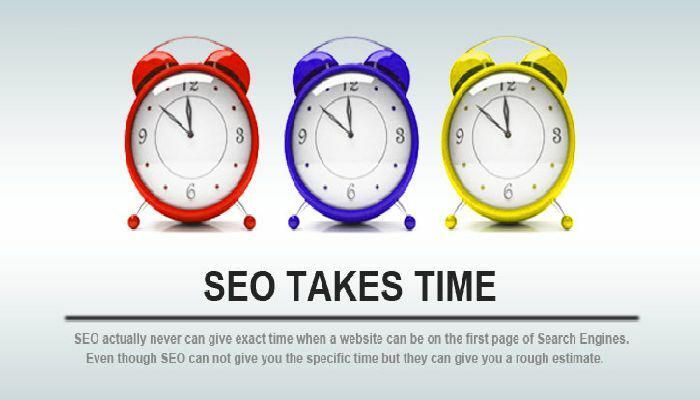 Therefore SEO ranking takes time. This is the service where you get the things for which you have pay for. The popular freelance marketplace and the easily accessible websites are like the shady back alleys of the SEO. All these often, so the people buy a cheap SEO gig. They take advantage of later on. Each and every digital marketer an amount for the SEO service. A web designing company provides the appropriate SEO to the clients. With the help of web designing company, people take advantage of the SEO services. There are more of the digital marketers are charging the least average rates. They provide the best work and are willing to go above and beyond. Clients feel good about the results and the output. How does a successful Long term SEO plan work? 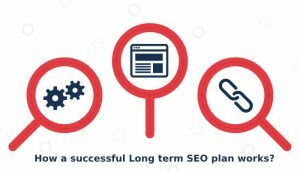 When you start with the long term SEO plan then in the first month it all depends on the research. You can set enough time aside to spend a solid month of the labor on the website auditing it means for the existing sites and content planning also. This is the place where the keyword strategy is formulated. In the process of the research, your job will be to audit the existing backlinks and format them to do follow or unfollow protocols. 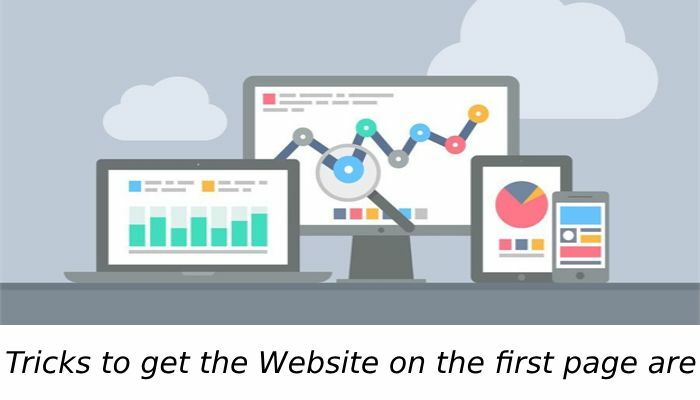 First of all check the existing SEO descriptions, content, keyword usage and the previous tactics which are used in the SEO. Focus on how to fix the issues within the offered services to them. The second step means the nitty-gritty work or the essence of the work begins on the website. In the time period of the second month, you can start making the edits and changes you identified during month one’s audit. Do you want to completely rebuild the site, which is going to push everything back in a few months? Do not confuse with your words, use the words and the information carefully be thorough with the information. In the third step, the content creation begins. At the time of the third month, you can start writing the articles, FAQs, and creating other content you’ve planned. Most of the people enjoy this part because you can get creative with the whitepapers. With the help of good quality content creation, you can get more great results. This is the last step where the rest of the marketer’s toolkit is utilized. The social media management strategies, paid ads, lead generation and more. Continue to create regular quality content and promote it. Therefore the building a healthy link profile along the way. Focus on optimizing monthly, audit and try to create killer content. ← Searching Trends 2019: What are the Best Tactics that people use for Searching Online?